A +P .38 Special ammo that offers increased energy delivery and velocity over standard loads. 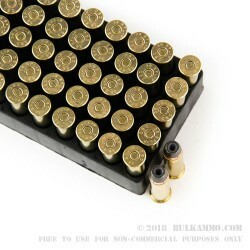 The 158 grain semi jacketed hollow point in a +P powder charged load that is inside of a quality brass case with a Boxer primer and a decent set of static ballistic numbers. Achieving 890 feet per second velocity and 278 ft. lbs. of energy this is a nice mid-range round for those who need good power out of their .38 Special revolver. 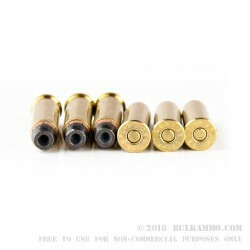 Because this is a +P round it exhibits pressures that are much larger than standard rounds and as such it must ONLY BE USED in firearms that are capable of handling the increased pressure profile. If you are unsure whether your firearm can handle +P or +P+ cartridges, please consult your firearm owner’s manual, or a firearm expert with experience in revolvers. The round is not suitable for use in the small framed lightweight carry revolvers that are now flooding onto the market, generally. Most of these firearms are not capable of handling the pressures that are generated by the round at the cylinder, forcing cone and barrel areas. 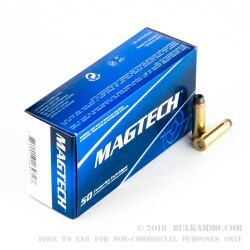 This product is a single box of 50 rounds of .38 Special +P ammunition in 158 grain weight.